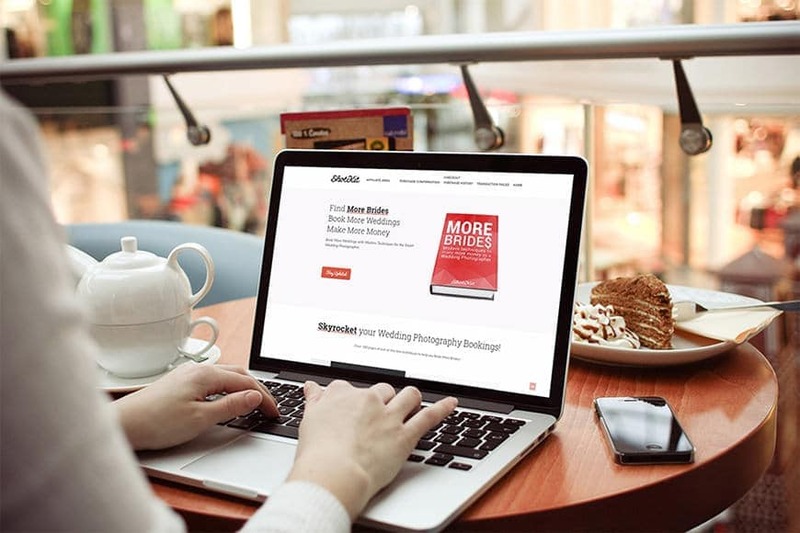 More Brides is one of the most popular wedding photography books which helps to answer every wedding photographer’s dilemma, namely How to Book more Weddings. Whether you’re a veteran wedding photographer with hundreds of weddings under your belt, or just a newcomer to the wedding photography industry, More Brides is packed full of information to help you grow your wedding photography business. One thing I’ve realised after my interactions with hundreds of wedding photographers from around the world is that no matter how successful you are, booking more weddings is always a concern. Whilst new wedding photographers simply want to book as many weddings as possible, more established wedding photographers are looking to book more wedding clients that suit their style. We all want to shoot the weddings we enjoy, and get enough wedding booking requests to allow us the luxury of choice. Quality over quantity. Out of all the wedding photography books, More Brides is the most focused on teaching you how to book more weddings whilst choosing the exact wedding clients you want to work with. There aren’t many wedding photography books that tell you exactly what to do to book more weddings (i.e. actionable tips). More Brides looks to change that. I don’t have thousands of Facebook fans or Instagram followers. 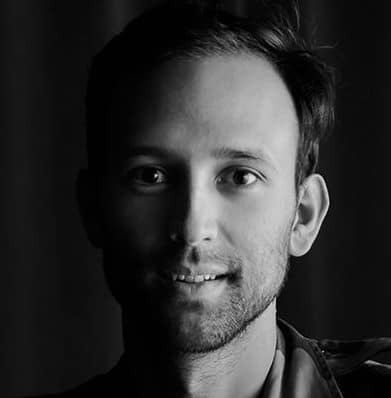 I’m just like you – a wedding photographer competing with the hundreds of other wedding photographers in my hometown. 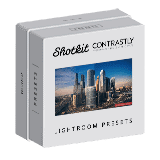 However, what I do have is over 10 years of experience in online marketing, as well as all the knowledge gained via my interactions with the most successful wedding photographers in the world today, thanks to my work with Shotkit. These are savvy men and women who may not be the best wedding photographers in the world, but who are getting so many booking requests every day of the year that they are able to choose exactly the right client they want to work with. They’re also able to choose the exact cities and countries where they want to shoot a destination wedding. With More Brides, I’ll show you how to increase your wedding booking requests, so you can book more weddings that suit you. I’ll also show you how you can book a wedding anywhere in the world, if that’s your goal. How can More Brides help you Book Weddings? More Brides is the only wedding photography book that is packed full of tips, techniques, guides and advice to help increase the number of wedding booking requests you receive. In fact, I’m so confident that you can at least double your wedding booking requests in under 6 months that I’m willing to offer a money back guarantee. All you need to do to book more weddings is to follow the simple but detailed step-by-step guides outlined in the 15 chapters. I’ve never met a wedding photographer who likes SEO. It’s a mysterious art that’s boring, time-consuming, and for the most part, unrewarding. There are one or two other wedding photography books that focus on SEO, but I found them all way too confusing. In More Brides, I’ve broken down the confusing topic of SEO into 3 easily-digestible areas that I believe will provide the biggest impact for the least effort. 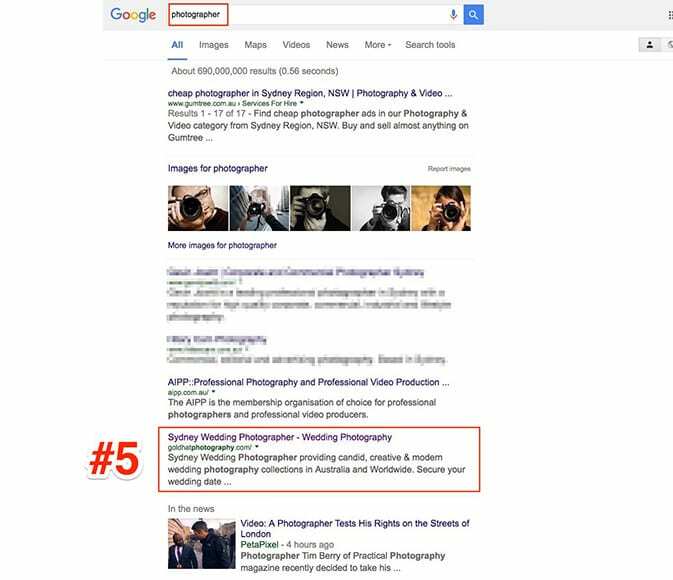 In fact, 6 months after implementing the tips in wedding photography book More Brides, my own search engine rankings for the highly competitive word ‘photographer’ took a huge leap to page 1 of google.com.au. In fact, I expect my rankings to continue to improve as time goes by… without the need to do any more work on SEO. Below is a screen shot from Serpbook, a tool that provides accurate data on keyword performance. It shows that my wedding photography website has been moving up the google rankings in the past few months since I implemented the SEO techniques in More Brides. The sudden jump in mid-June 2016 can be attributed to one certain technique in particular that I outline in More Brides. As photographers, we don’t have time to fiddle around with confusing SEO practices, which is often like stabbing in the dark. It’s also not a good long-term strategy to pay an SEO company to help with your rankings, since this may involve shady practices that can eventually cause harm to your online business. Don’t waste any more time or money on SEO for your wedding photography business – More Brides tells you exactly what to do to ensure you’re one step ahead of your competitors, dominating the search engine rankings. One of the biggest time drains I’ve seen for wedding photographers is social media. Facebook, Instagram, Pinterest, Twitter… there are so many social media platforms to choose from, but we have so little time! 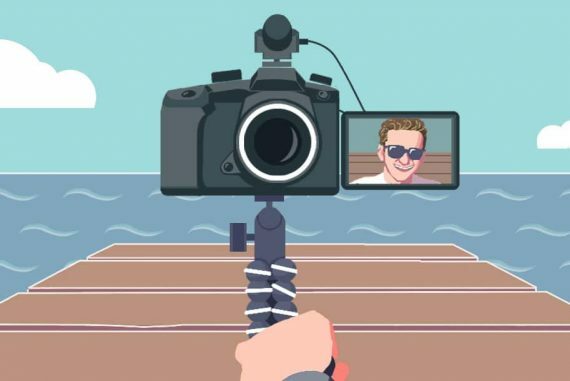 For most wedding photographers, social media feels like pushing water uphill – you have to keep posting, commenting, liking and sharing multiple times a day for it to have any effect… and that effect is pretty negligible too. 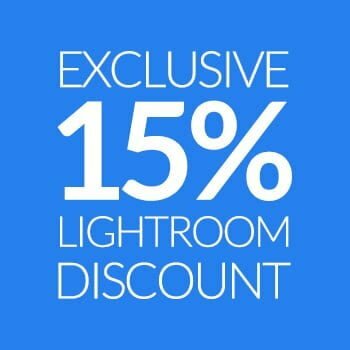 In More Brides I uncover the most effective social media techniques that can have the biggest impact on your wedding photography business with the least effort. 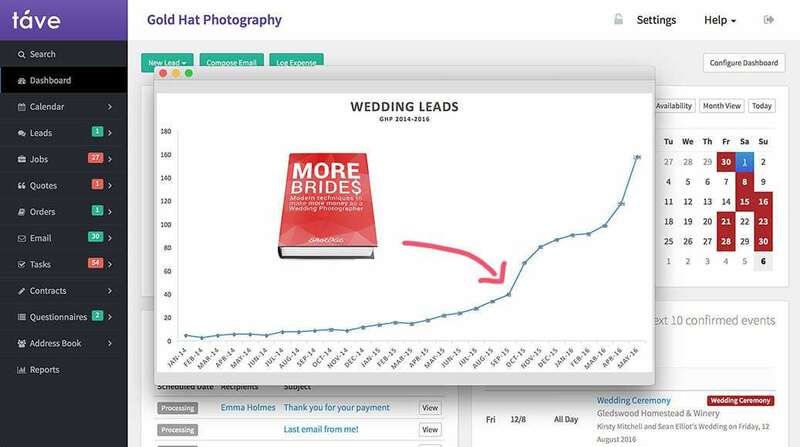 In this wedding photography book, I’ll show you how to leverage organic (free) forms of social media promotion to make the most of Facebook’s ever-dwindling reach. I’ll also show you how to use paid forms of social media promotion to get the most bang for your buck. If you want a sneak peek of the kind of in-depth content to expect, check out this excerpt from More Brides featured on SLR Lounge – How to book your first destination wedding in just 10 days. 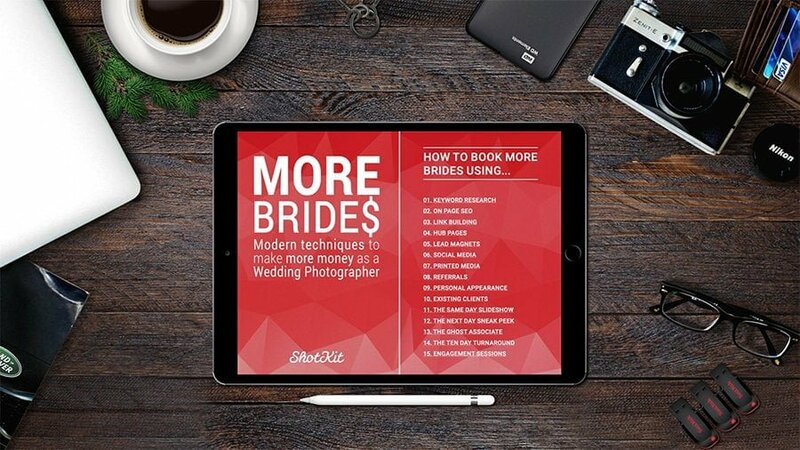 Improving your SEO and your social media efforts are just 2 examples from the 15 chapters in More Brides that all focus on how to book more weddings by increasing your wedding photography booking requests. Due to the large amount of information in More Brides, I recommend that you dip in and out of any chapter that takes your interest. 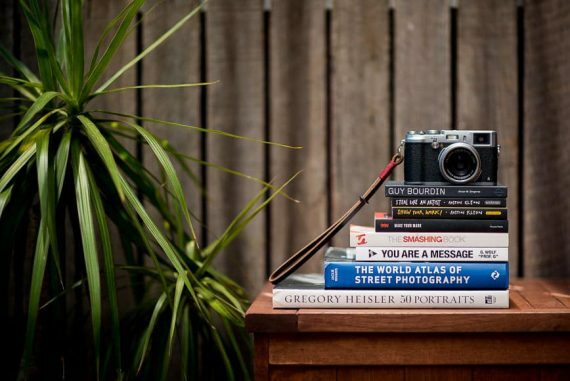 It is not intended to be read from cover to cover – you might experience information overload! If you choose the chapters that interest you and follow the step-by-step guides, I have no doubt that you will increase the number of clients who want to book you for their wedding. I’ve been implementing the techniques in More Brides for almost a year now, and have seen a marked increase in the number of wedding leads (booking requests) I’ve received. My own wedding booking requests have taken a big jump over recent months. I still shoot the same 20-30 weddings a year, but the weddings I’m booking are the ones I really want to shoot. Quality over quantity. Having almost triple the number of wedding leads each month allows me this luxury of choice. 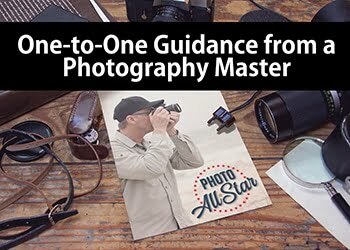 I reveal all the techniques that have worked in More Brides, but don’t just take my word for it – wedding photographers who received a pre-release copy of More Brides have also seen similar success. See what they have to say here. As wedding photographers, we all love taking photos. Some of us even enjoy post-processing too. We’d be lying though if we didn’t mention that we all want to make more money with wedding photography. Photography is our art form first and foremost, but it’s also our business that helps us to earn enough money to lead the lives we want to lead. More Brides will help you book more weddings and make more money as a wedding photographer. N.B. More Brides is classed as work-related expense, making it 100% tax deductible. Remember to include More Brides and any other educational expenses when filling in the schedule C of your tax form. More Brides will pay for itself many times over when you start doubling and tripling your wedding photography requests, and it’s nice to know that it can be used to reduce your taxable photography income too. 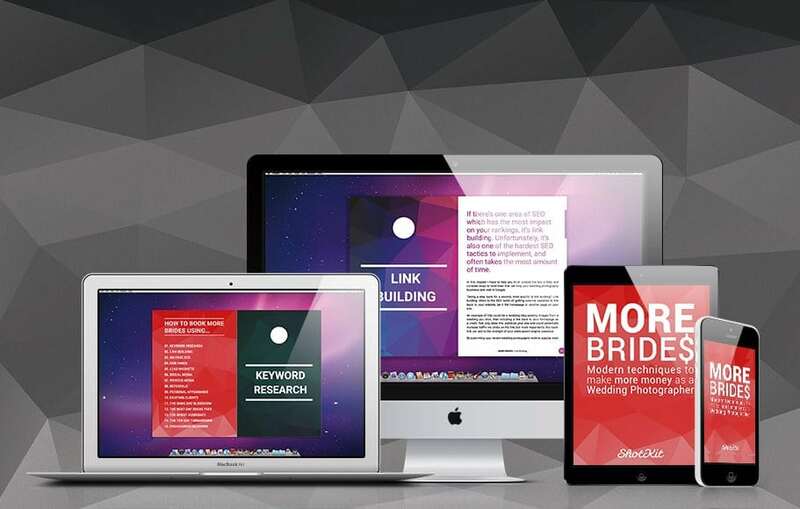 More Brides is an interactive PDF product that can be viewed on any digital device, on desktop, tablet and mobile. Click here to purchase your copy. Love your “More Brides” book! You reference to using Thrive Landing Pages because you can also delete the menu at the top to make the page as clean as possible. I bought Trive last week and love it, but I can not find any way to make my WP menu disappear. Am I missing something? Hi Chris! Glad you’re enjoying More Brides. 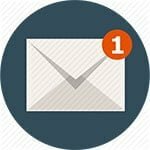 This will differ per WP theme, so you’ll either have to get in touch with the theme developer or possibly the support at Thrive may help. Good luck! Loving Book More Brides, Its left permanently open on my desktop and I reference it a few times a day. Just thought I would drop a line to say I copied your NZ Elopement Ad for Facebook and booked my first one in 8 days. She just signed the contract today and I’m off to the South Island in February. 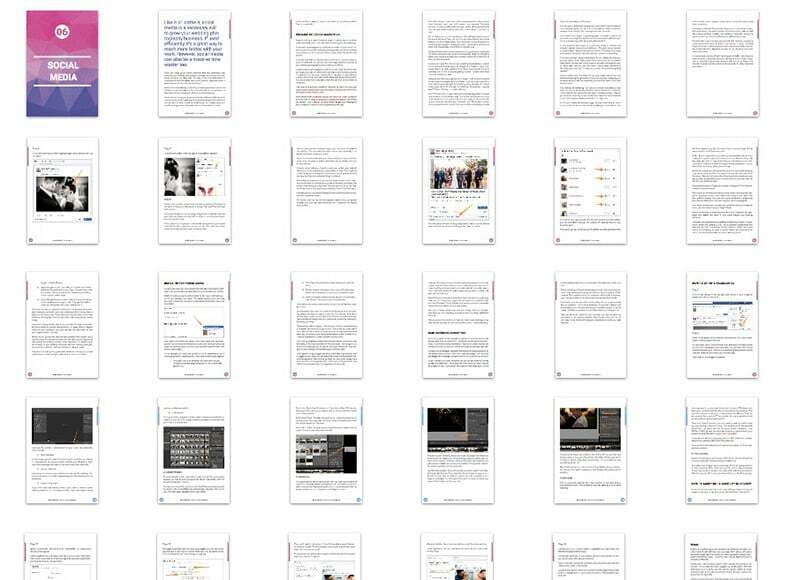 It takes about 5 minutes flipping through the PDF to realize Mark’s book is well worth the investment. Very straightforward, practical advice on marketing strategies that seem obvious when explained, but had yet eluded me completely until now. Some very good advice in here. Well, this book looks great, hovewer i am focused only on my region and country. So therefore i would like to ask following and maybe someone can help. Do anyone have experience to use the advices from the book outside of ENG language? for example: if there is keyword strategy, ENG is totally different as SVK :). So will the advices work? LOVE LOVE LOVE this!!! It’s like a checklist of things I can do now for my upcoming wedding season in 2017. I love how it’s organised so simply but has SOO much useful stuff! Gonna take me a while to get through. thanks Mark!! Boom done. Bit early to tell you how many I can book with this but at first glance there’s a crapload of great info!! must have taken you ages to write. btw you should have done this for all photogrpahers not just wedding as the tips are for all. haha yes it did take almost a year to put together Jason but it’s worth it to hear feedback like this! Good luck! !